The idea of the “fixed link”, a connection from PEI to the rest of Canada, had been around for over one hundred years before Canada Public Works’ decision to build a bridge across the Northumberland Strait in the late 80’s. The spec called for toll & traffic management systems, but left much room for interpretation. It was a challenge to convince the bridge designers that toll & traffic management components were required on and within their structure. In the Maritimes, the local public was well aware of winter storms and potentially dire conditions on the Strait from decades of ferry crossings. Many people were nervous about driving the 13-km crossing on a fragile looking ribbon of concrete. This was a unique project where traffic management was more about public confidence that someone was monitoring the bridge than traffic congestion. 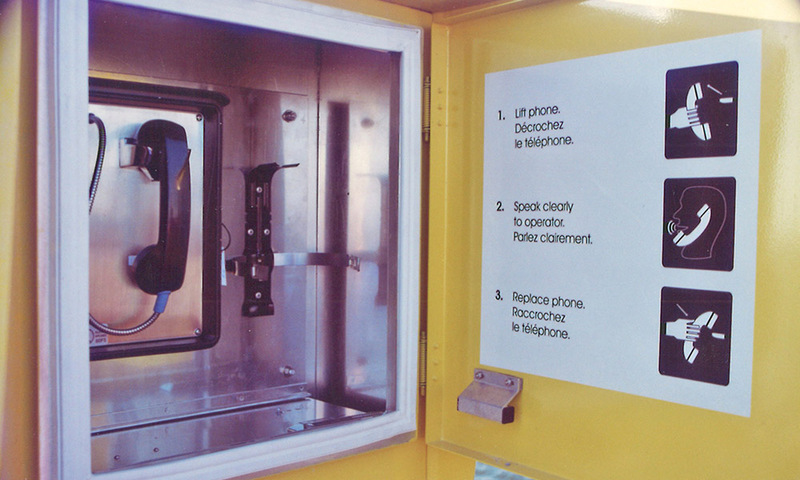 Emergency phones with fire extinguishers were located across the bridge – before mobile phones were ubiquitous. After the Strait Crossing consortium won the job, IBI Group convinced them that we could supply the traffic management system. We were already in that business. Then, they asked us to supply the toll system as well. In typical IBI fashion, we said “sure,” and got to work on a completely new systems practice for our then small firm. Names of our staff engraved at the Confederation Bridge monument. By the spring of 1997, with the construction contractor running late and our access restricted to nights, our acceptance testing was happening just days before the nationally advertised bridge opening. We also put together a last-minute traffic management demonstration tent at the “Bridgefest” grand opening exhibition at the same time as final testing was going on. During the opening ceremonies on May 31, 1997, we had multiple personnel positioned within the 13-km long bridge structural cavity (under the traffic deck) to run to our control equipment locations for manual device reset if necessary – so that the CBC would get a continuous, uninterrupted feed of traffic crossing the bridge for the first time. 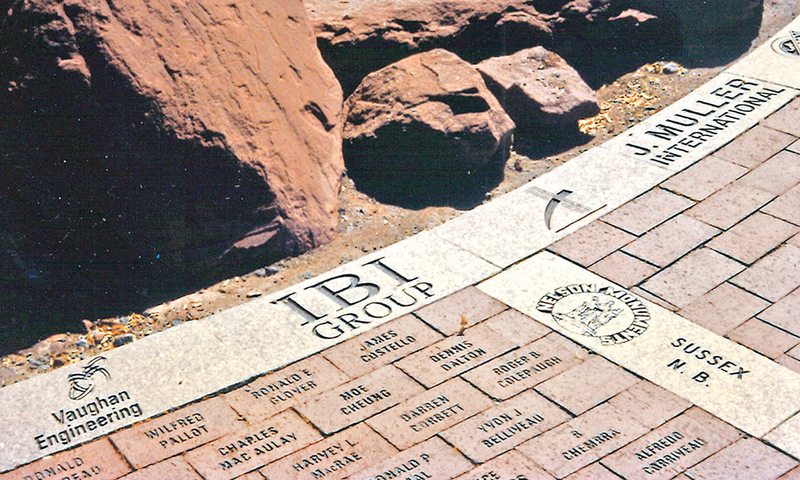 Today, IBI Group continues to provide state-of-the-art toll and traffic management systems at home and abroad (including continued support for the Confederation Bridge systems). Toll systems and technology has now grown into one our key business offerings, but it all started for us in PEI, with the Confederation Bridge. 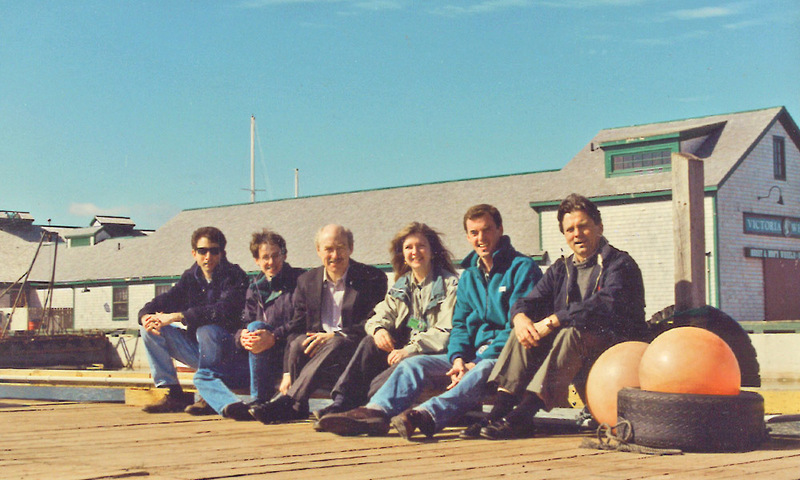 IBI Group staff: Jonathan Marks, Doug Robertson, Ron Allen, Cathy Robertson, Steve O’Brien, Scott Stewart.